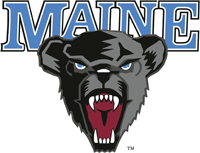 The Black Bears Men's Hockey team dropped a 3 - 2 overtime game to Northeastern Friday Night. Windham's Matt Duffy had a goal. In their 1st of 2 games at the Cumberland County Civic Center in Portland, The Lewiston MAINEiacs dropped a tough game to the Quebec Remparts 5 - 2. The Pirates dropped a shootout loss to the Springfield Falcons Friday 3 - 2. Nathan Gerbe scored his 14th goal of the season. Oh what could have been. Greg Oden made his Garden debut last night, as the Boston Celtics dismantled the Portland Trailblazers 93 - 78.